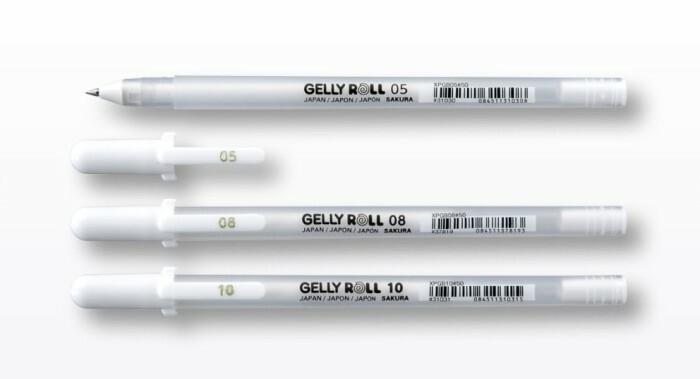 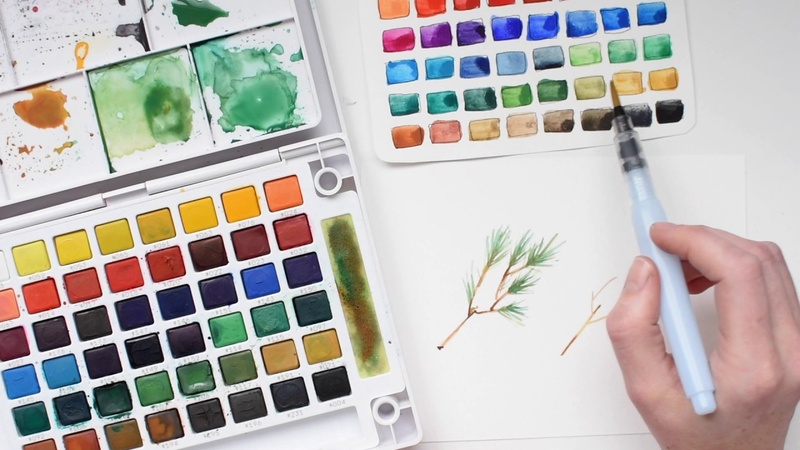 White gel ink pens in 3 sizes. 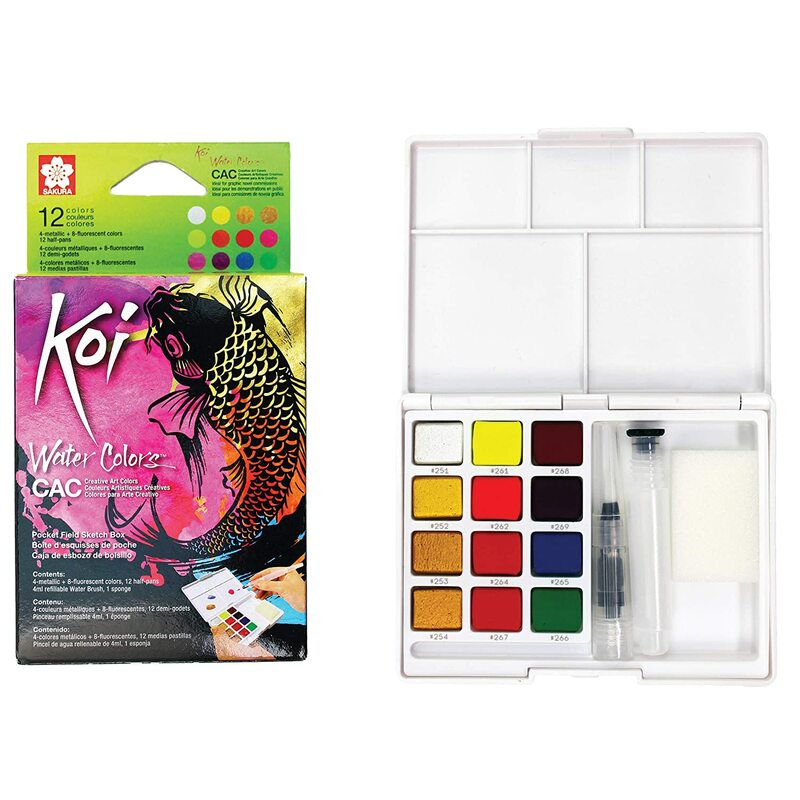 Suitable for drawing and writing on the surface of dark colored paper. 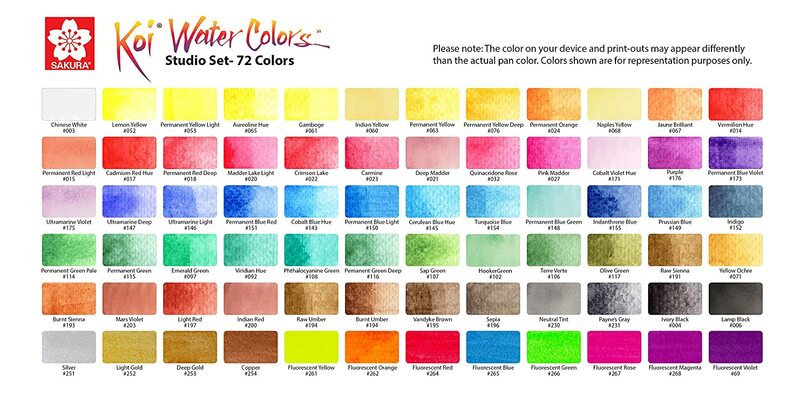 Waterproof, not easy to fade and resistant to chemicals. 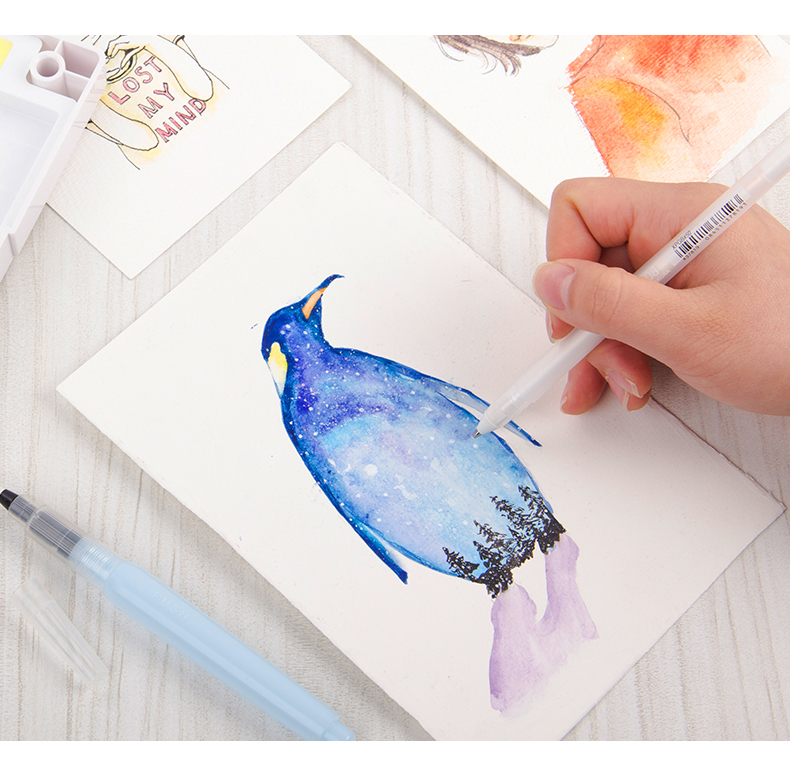 Sensationally brilliant opaque colors on dark-color papers and photos with 1.0mm ball. 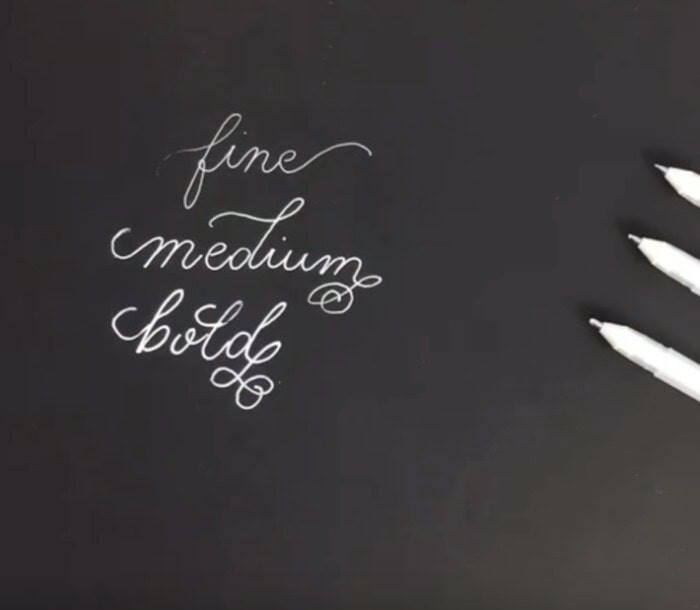 Attractable-writing on black or such dark-color papers. 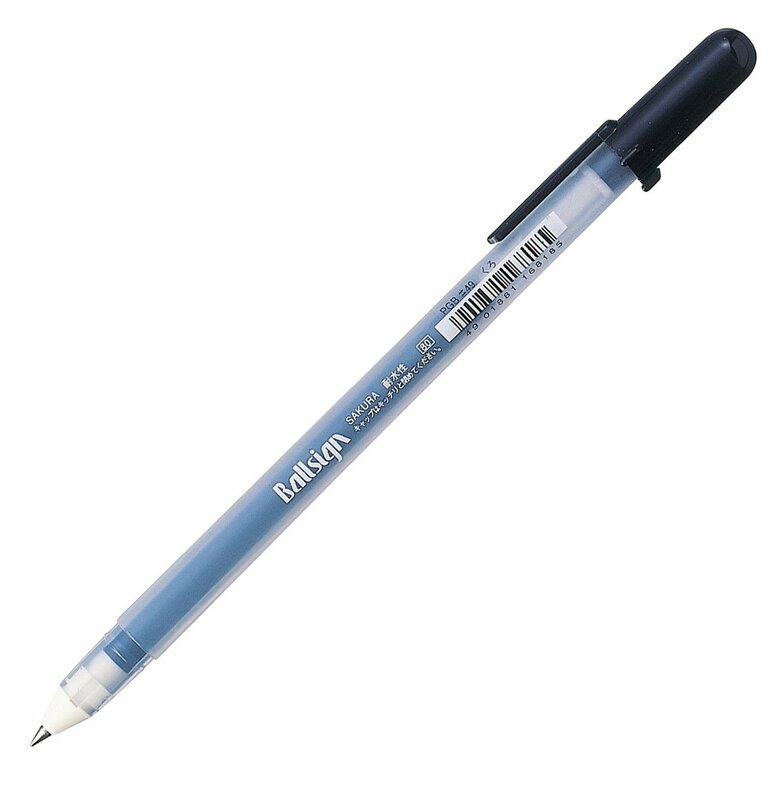 Smooth-writing, very dense ink and constant ink flow from start to end. 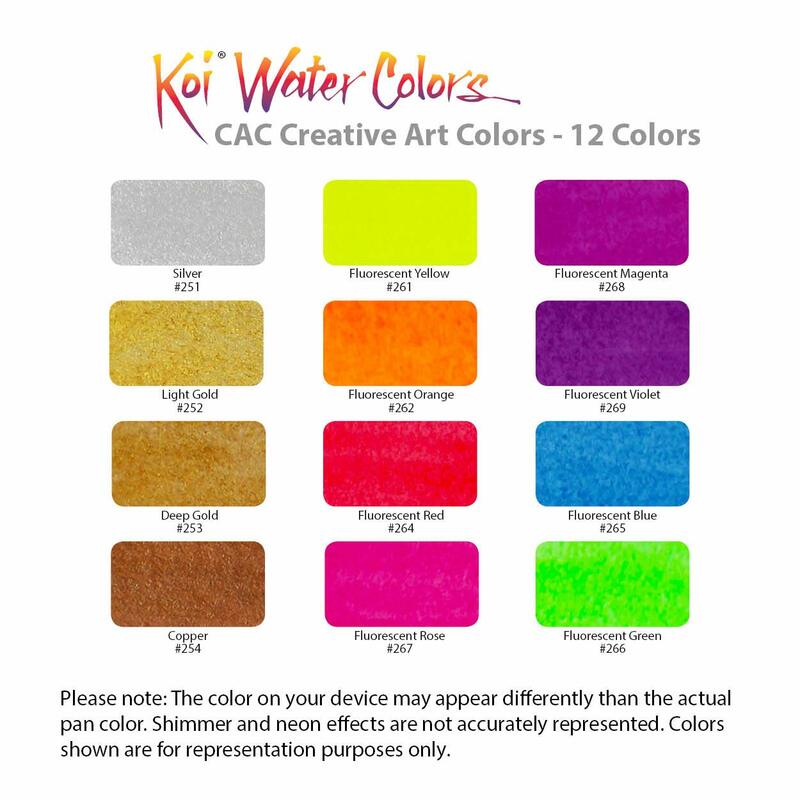 5 Fluorescent colors glow under a black light source (UV lamp). 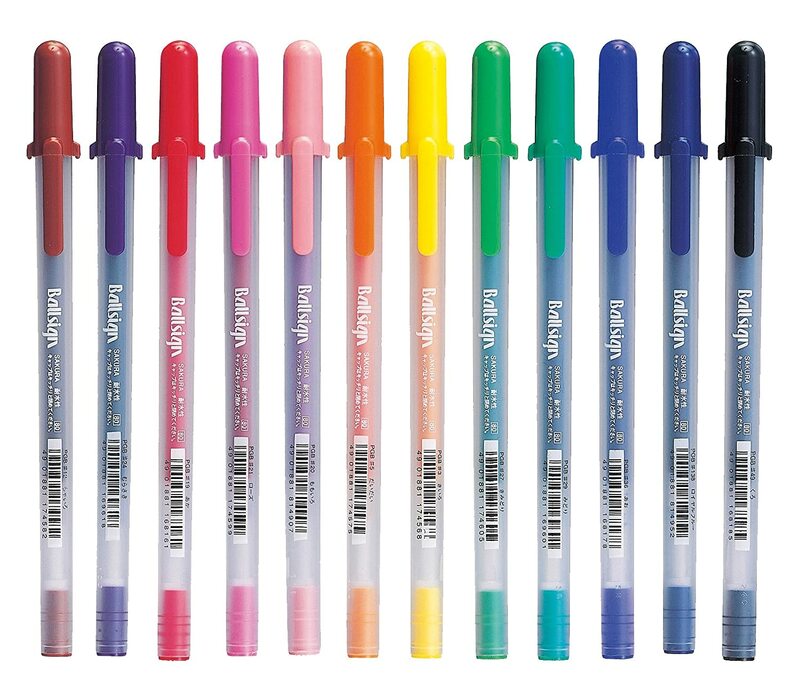 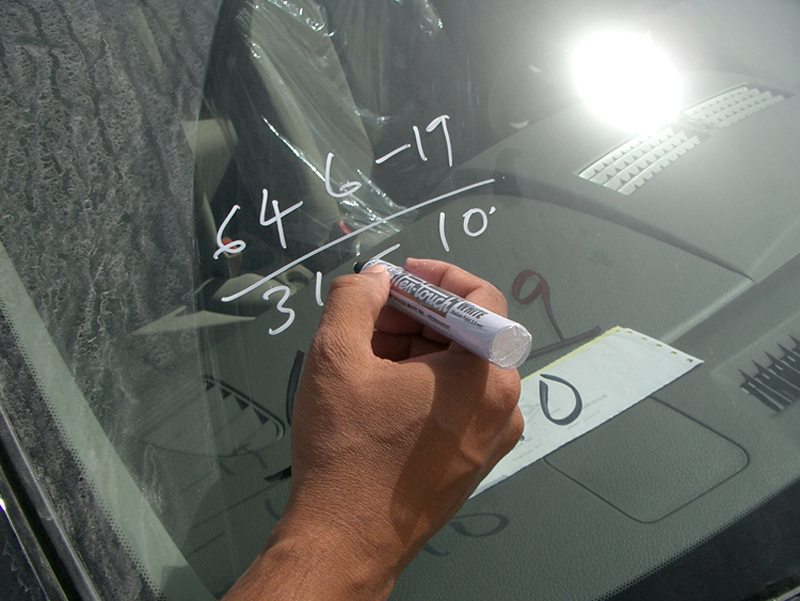 Size:Pen-Touch Markers (0.7 /1.0 /2.0mm Tip). 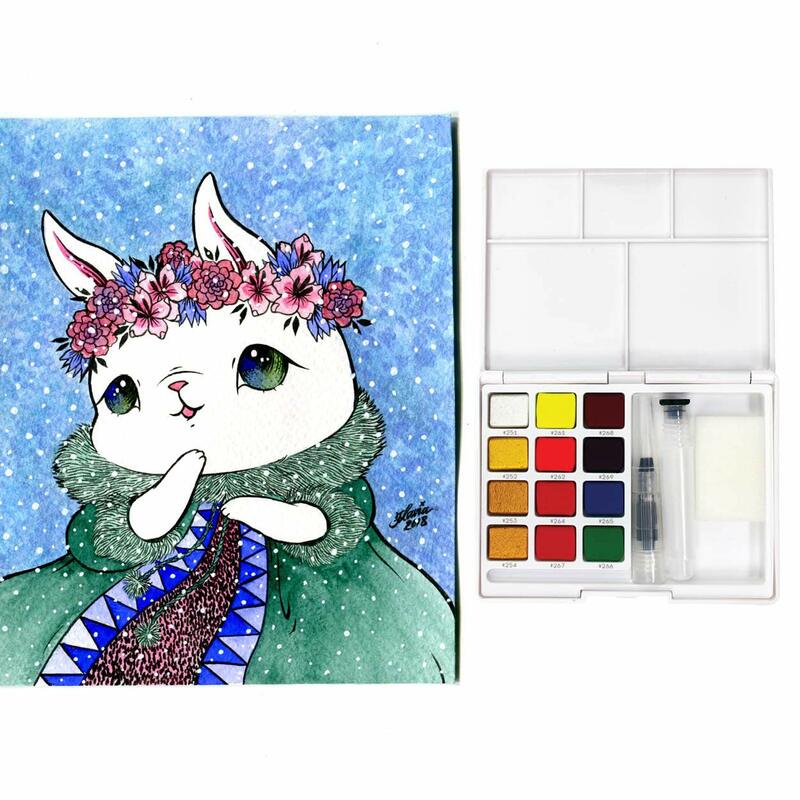 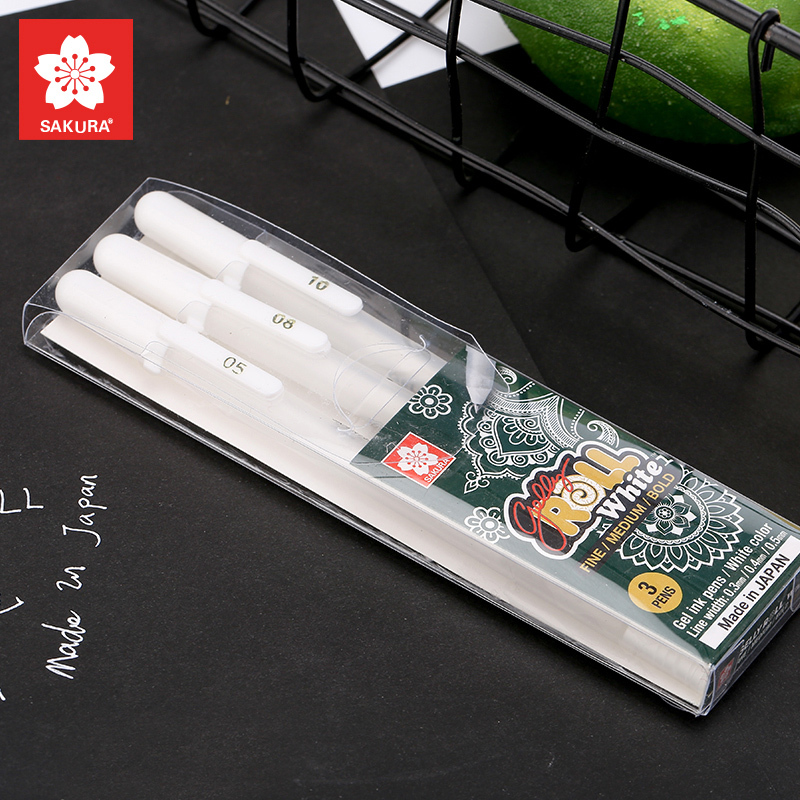 1Pcs 0.7mm White Sakura Pen-Touch Paint Markers. 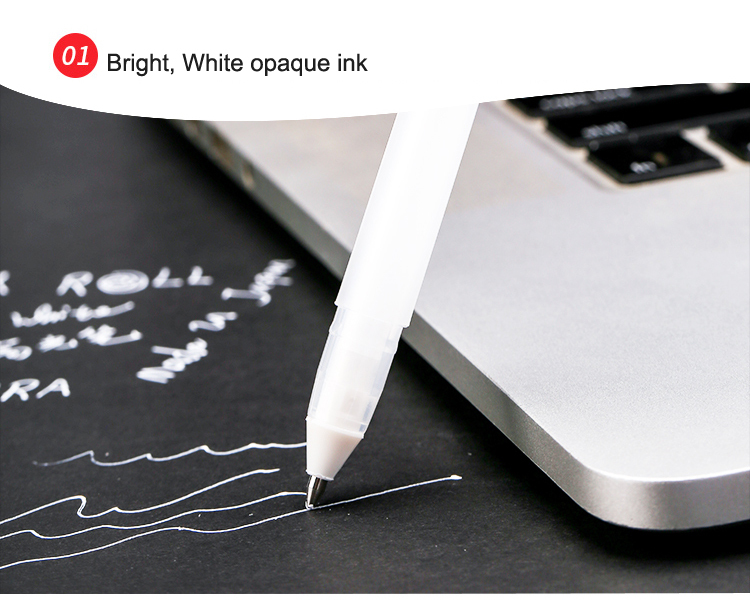 1 Pcs 1.0mm White Sakura Pen-Touch Paint Markers. 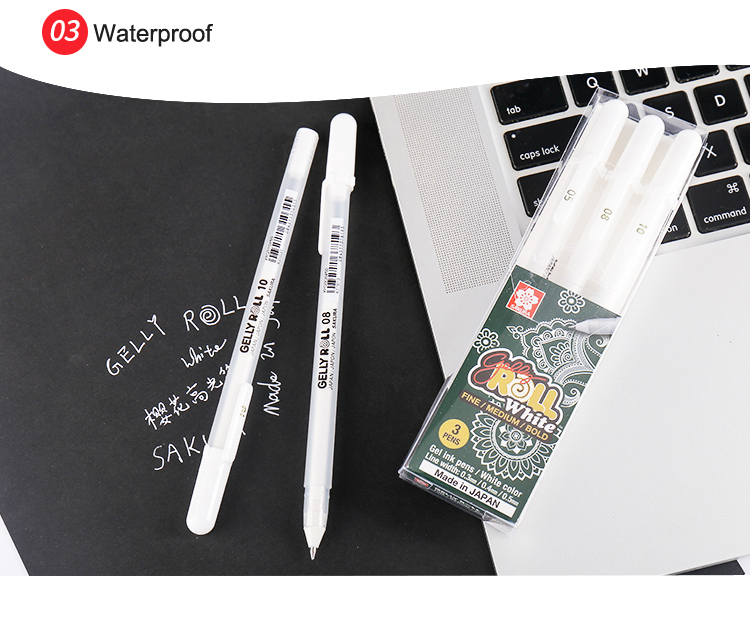 ​ 1 Pcs 2.0mm White Sakura Pen-Touch Paint Markers. 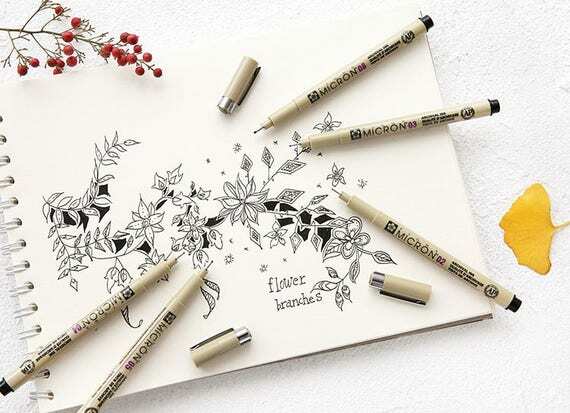 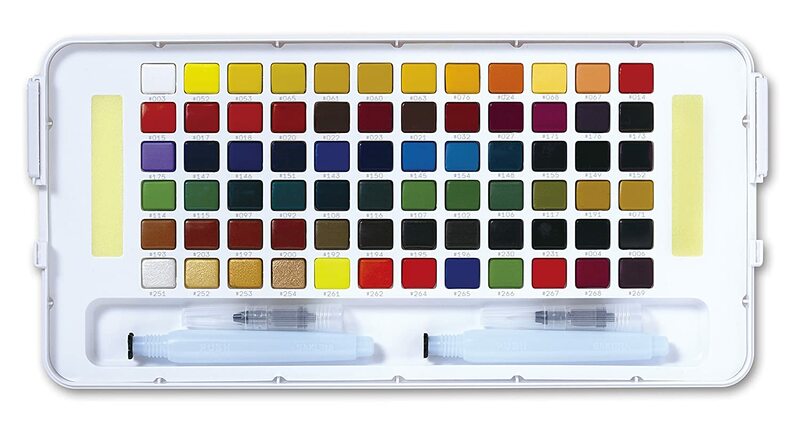 1Pcs 0.7mm Silver Sakura Pen-Touch Paint Markers. 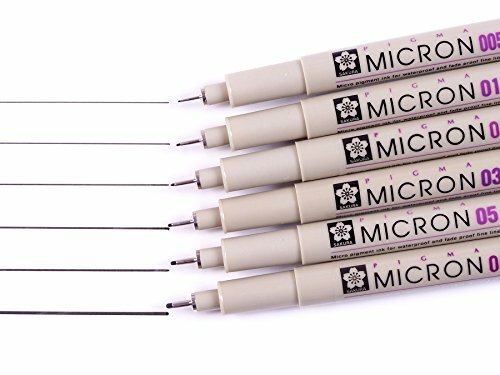 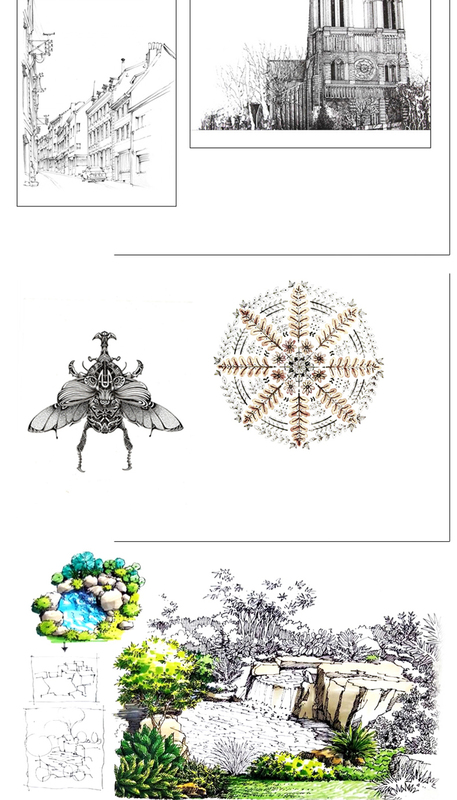 1 Pcs 1.0mm Silver Sakura Pen-Touch Paint Markers. 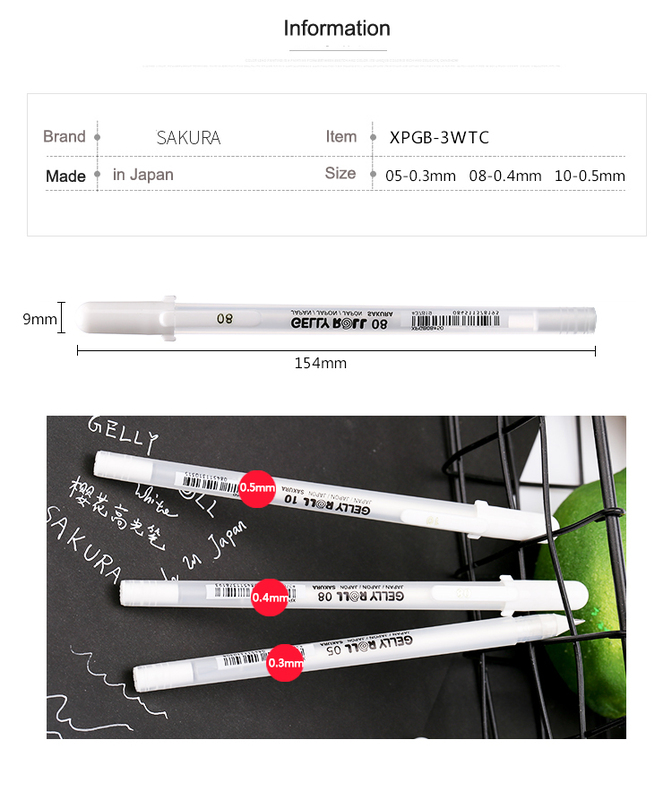 ​1 Pcs 2.0mm Silver Sakura Pen-Touch Paint Markers. 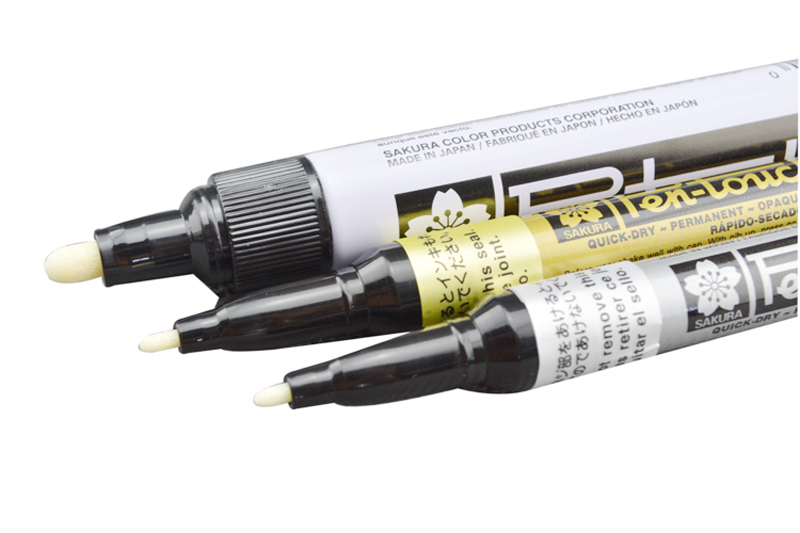 1Pcs 0.7mm Gold Sakura Pen-Touch Paint Markers. 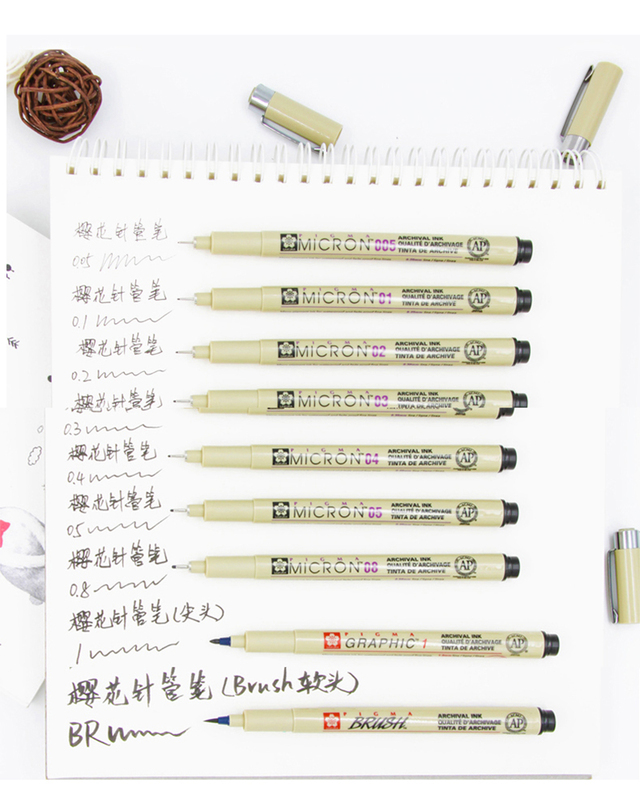 1 Pcs 1.0mm Gold Sakura Pen-Touch Paint Markers. 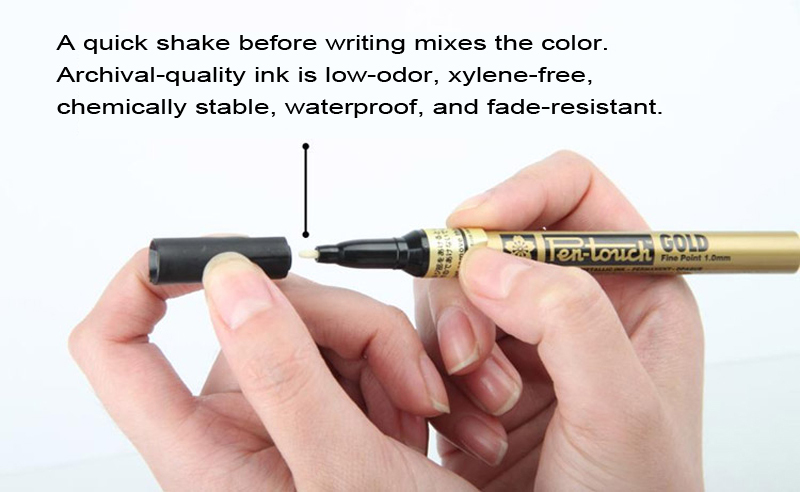 ​1 Pcs 2.0mm Gold Sakura Pen-Touch Paint Markers. 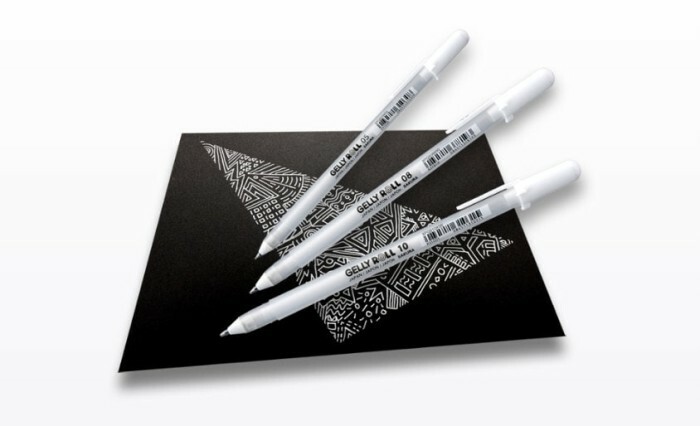 3 Pcs 0.7mm White Gold Silver Sakura Pen-Touch Paint Markers. 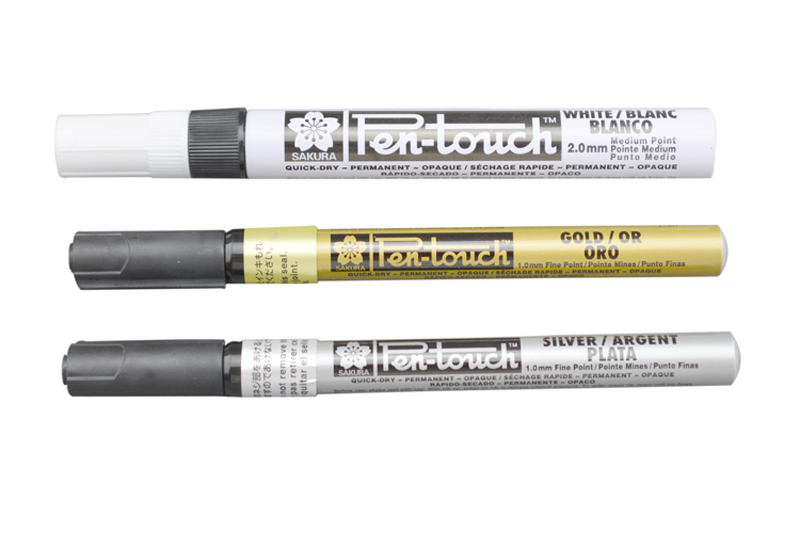 3 Pcs 1.0mm White Gold Silver Sakura Pen-Touch Paint Markers. 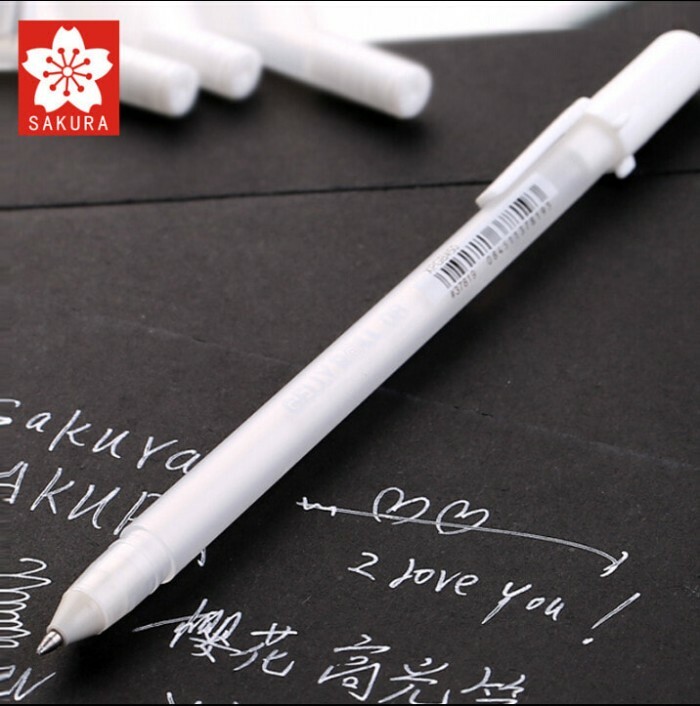 ​3 Pcs 2.0mm White Gold Silver Sakura Pen-Touch Paint Markers. 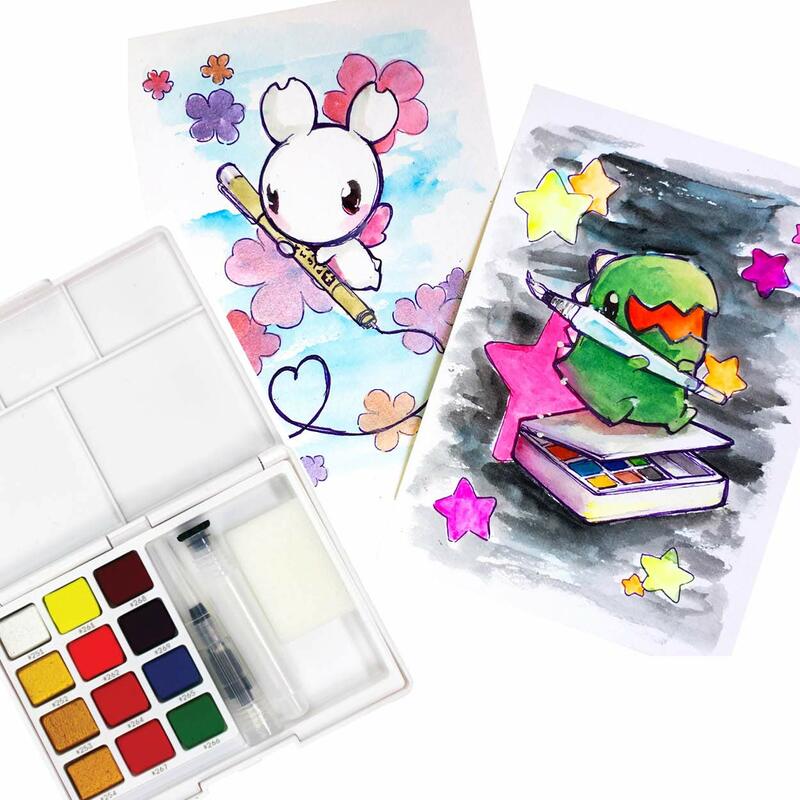 3 Pcs White 0.7mm 1.0mm 2.0mm Sakura Pen-Touch Paint Markers. 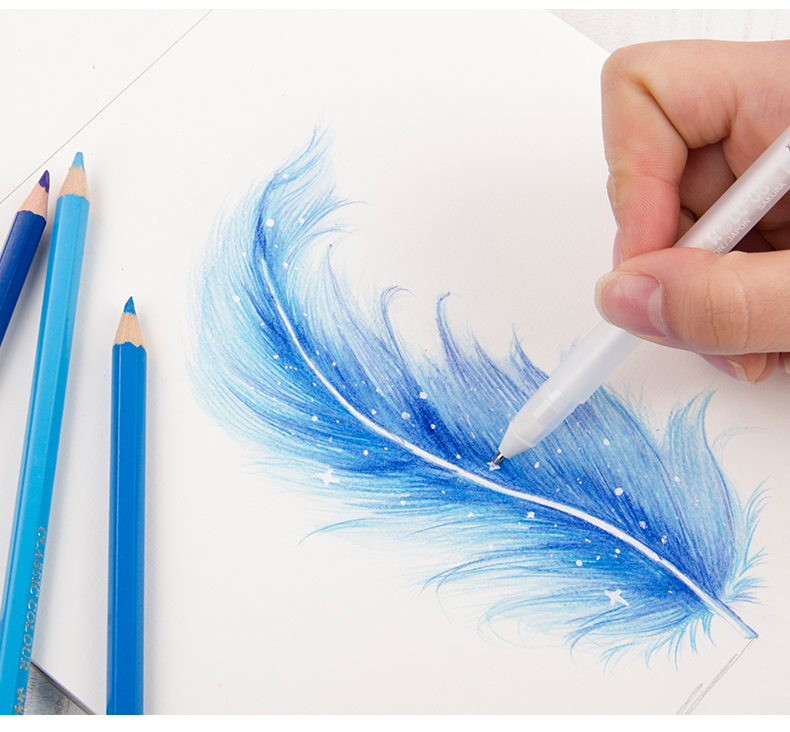 3 Pcs Silver 0.7mm 1.0mm 2.0mm Sakura Pen-Touch Paint Markers. 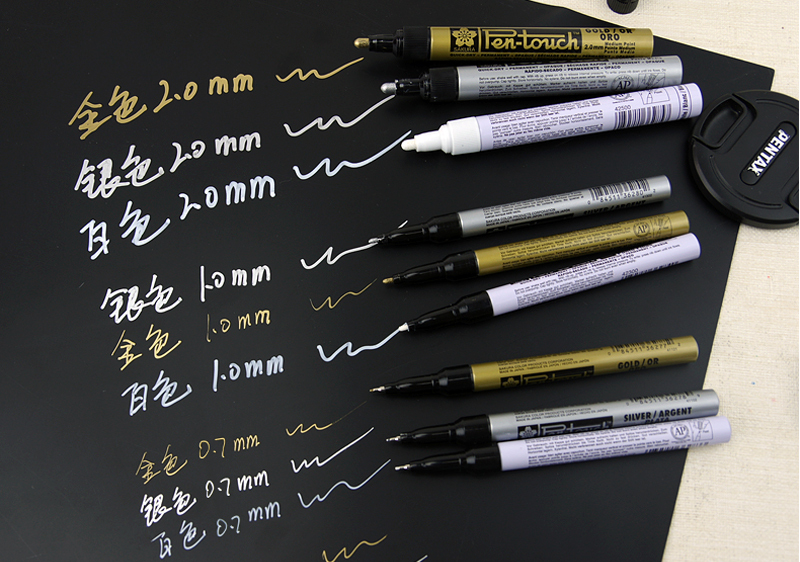 3 Pcs Gold 0.7mm 1.0mm 2.0mm Sakura Pen-Touch Paint Markers. 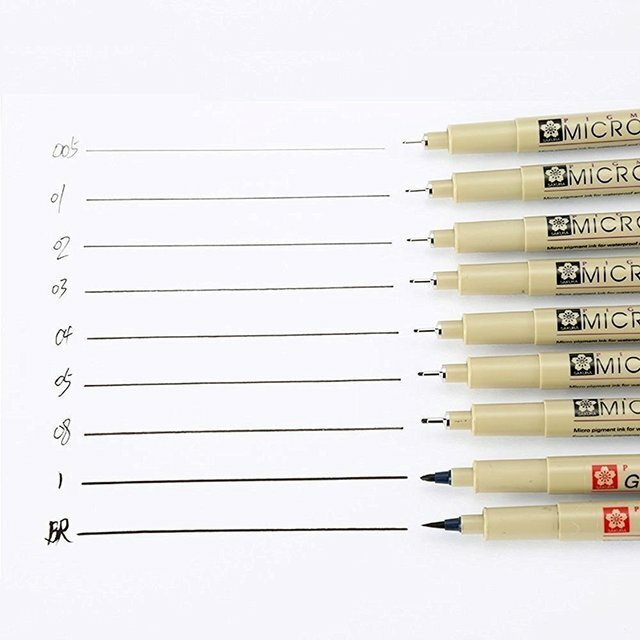 9 Pcs 0.7mm 1pcs White, 1pcs Gold ,1 pcs Silver;1mm 1pcs White, 1pcs Gold ,1 pcs Silver;2mm 1pcs White, 1pcs Gold ,1 pcs Silver.